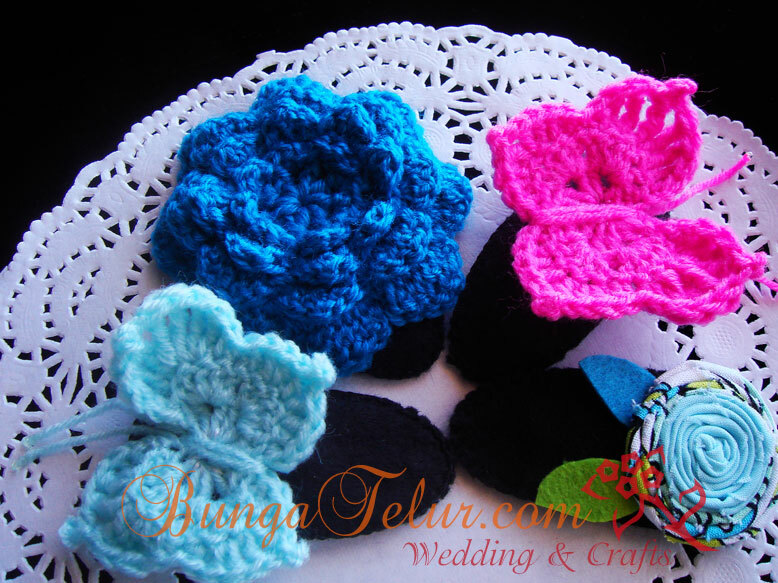 It seems that every time I need to crochet a flower, I have to Google for the pattern. I found a blog that shares a few type of flower patterns here : 10 Beautiful Ways to Crochet a Flower. 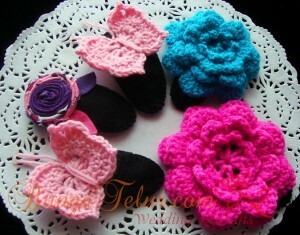 The fabric lollipop was made exclusively for the hair clip. I have to make it really small to fit on the space of the black felt. Maybe next time I should make it bigger and combine it with a tiny crochet butterfly. What do you think? 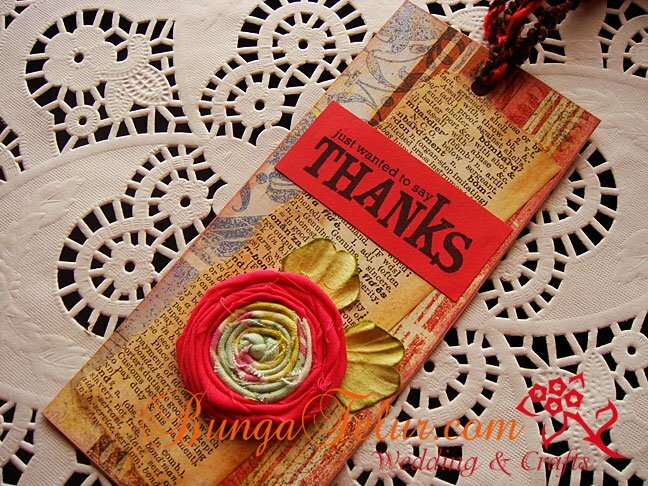 I stocked up some craft books recently and to thank my buyers, I decided to make more bookmarks. Anyway, as I searched deeper in the craft box, I found the lollipop fabric I made a few months ago. After playing around with it on the plain bookmark, I thought it looks nice. I cut the leaves from Prima flower petals..heh! 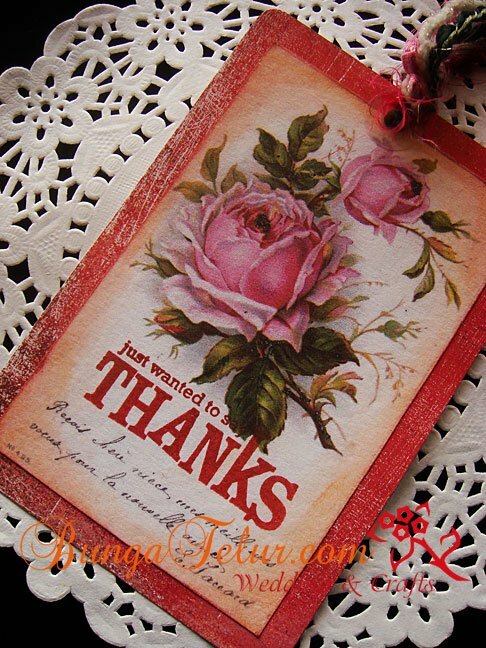 I love the rose picture taken from graphicsfairy blog – French Roses Postcard. I mistakenly printed it out too big but since I wouldn’t want to waste the printer ink and my acid free paper, I decided to stamp the thank you sentiment and make a big bookmark out of it..heh! Now that I look at the picture, it reminds me of ATC (Artist Trading Card). 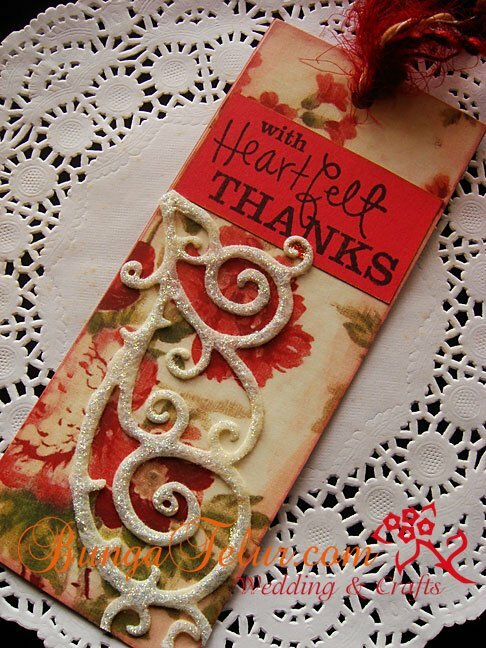 You should check out her blog because she has so many wonderful images that you can use for crafting. The last one shown here is my boring, same old style of bookmark that I have been copying for the previous batch of craft book buyers. Errr..I think the quote that says with age come wisdom does ring a bell. As I celebrated my birthday last month, I did notice the sudden spike of creativity in my right brain..haha! 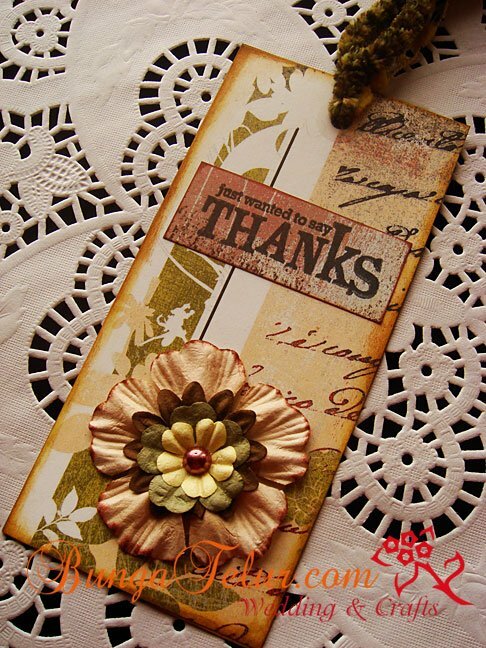 To all the book buyers, thank you for all your support in making crafting world a nicer place.